There’s more to a quality suit than good looks and utility. Originally worn by the European aristocracy, today, the suit is a closet staple for modern men everywhere. While the history of the garment has long been forgotten, being able to distinguish between its various features is still a necessary skill to master. After all, it’s the details in the suit that ultimately dictate how it will fit into life’s different occasions. With the jacket being (arguably) the most important component of the suit, understanding its nuances is a must. To start, let’s talk about the lapels. 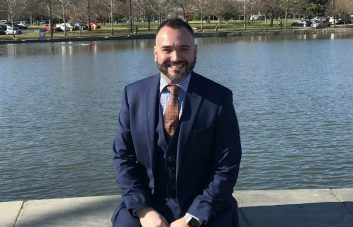 At first glance, the folded flaps of cloth on the front of your suit jackets may all look the same. However, the lapel actually comes in three basic forms, each of which corresponds to a different style of jacket and occasion. 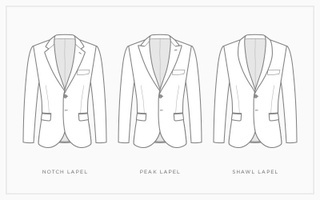 The most widely available and recognized lapel style is the notch. Seen on the majority of jackets and blazers found in stores, it is the standard for single-breasted suits. 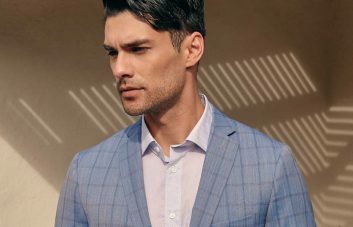 While there is variety in notch sizes—ranging from narrow to standard to wide—jackets sporting this lapel style (of any size) are suitable for a variety of occasions, though you may want to change it up for something more formal. The peak lapel is often associated with style and refinement, as it is expensive to manufacture and difficult to cut properly. 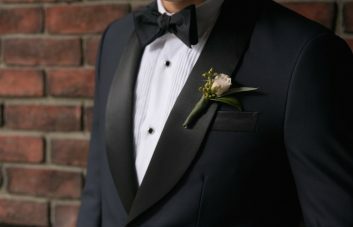 Uncommon for casual garments, this lapel form is generally only found on formal coats, tuxedos, and double and single-breasted jackets. Nevertheless, if you’re looking to make a statement, the peak lapel is for you. The shawl lapel originally got its start in both formal and informal evening wear. Nowadays, it’s most commonly found on tuxedos and mess jackets. Characterised by its rounded cut, this style is inspired by the smoking jacket and can be a perfectly classy choice for your next formal affair. Previous PostSuper Suit: What is a Super Number?